Mareel is the UK’s most northerly music, cinema and creative industries centre. 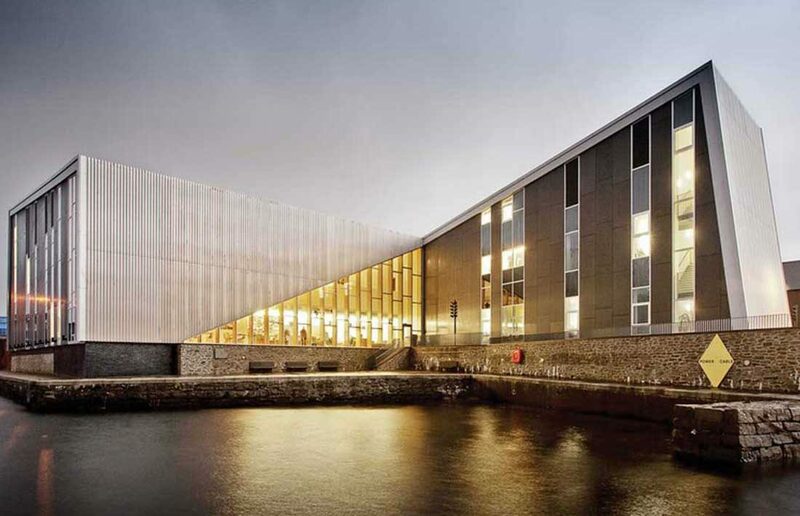 Situated in a prominent quayside area in Lerwick next to the Shetland Museum and Archives, Mareel has a live performance auditorium, two cinema screens, rehearsal rooms, a recording studio, education and training spaces, a digital media production suite, broadcast facilities and a cafe bar with free high speed wi-fi internet access. Mareel provides a programme of formal and informal education, training and learning activities designed to appeal to the whole community.